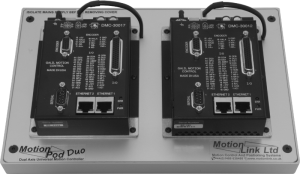 The MotionPod Duo is a compact, low cost, desktop format dual-axis motion controller. 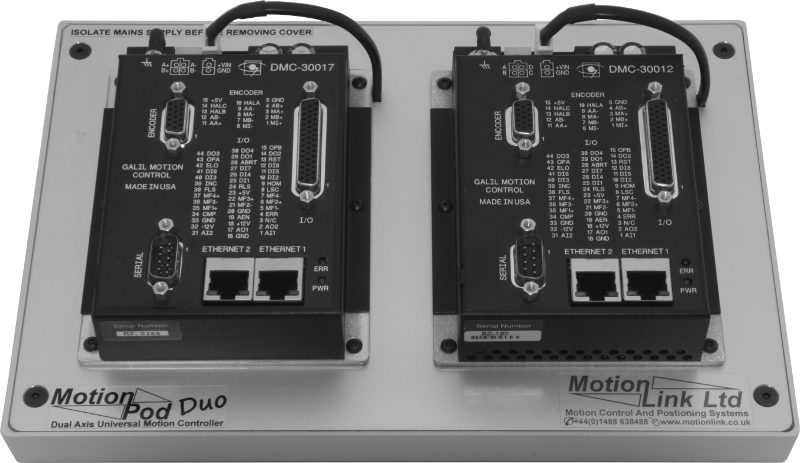 Using the wide range of options available on the Galil DMC-300xx controller, the Duo can control two-phase bipolar stepper motors in 1⁄16, ¼, ½ or full step increments at up to 1.4A per phase. Alternatively it can be specified as an 800w brushless sine drive or 6A per phase microstepping drive. Several Duos can be daisy chained together using the Ethernet ports without an external hub. 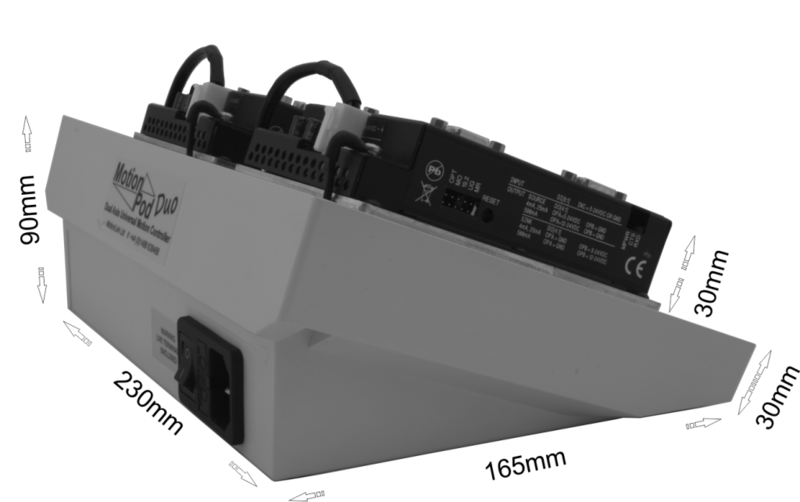 The Duo can be operated stand alone, or networked via Ethernet to a PC. Single-axis motion controller with servo to stepper motor drive in a compact enclosure. Two daisychainable ethernet 100Base-T ports; one 115kbaud RS232 port.